Gina Bishop and Melanie Houlahan | NPS Global Systems, Inc.
“Working with The Training Works Group has been a tremendous asset to our company. Melanie immediately connected with us and quickly understood the nuances of our business, enabling her to have an immediate impact. We were always feeling frustrated with our inability to communicate properly and effectively, and Melanie was able to achieve breakthrough results with her team building exercises. Melanie taught us to truly accept each other and how to listen. We learned each other strengths and weaknesses, and how to benefit from each person’s strengths. Comments from colleagues included ‘what an amazing turnaround’ and ‘the difference was immediate and lasting’. Whatever your role, whichever organization you represent, your image follows you everywhere. We’ve all heard the saying “A picture is worth a thousand words” and that’s exactly what your image is — a human picture. Unlike a still photo, your human picture encompasses four lively facets: Thinking, Appearance, Communications and Traits. As individuals, and as organizations, we create a successful image when these four aspects are functioning well at the same time. 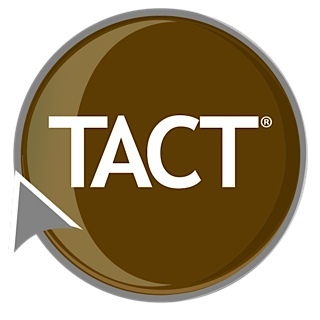 It’s all about having TACT®! When you portray a TACTful image, others perceive you to be more skillful, respectful, poised—they’re more interested in listening to you and working with you. And you’re able to communicate better, understand how your efforts fit into the bigger picture, and contribute more effectively! We apply this unique philosophy to every aspect of work, from leading to resolving conflict to navigating change. Melanie Pirro began The TrainingWorks Group in 2008 after a successful career with several Fortune 500 and Fortune 100 companies, including Dillard’s, The Gap, Office Max and Cole National Corporation. During her 20+ year career, Melanie honed her training, instructional design and presentation talents in the areas of interpersonal, operational, sales and leadership skills. Along with experience, she developed close relationships with other educated, innovative and resourceful training experts. We’ve worked in the trenches and seen what really works, and we share a passion for employee and leadership development. Yet, we each bring our own insights and viewpoints to solving client problems. We use our expertise to turn classic training principles and relevant content into motivating training programs, coaching initiatives and retention tools. All with respect for individuality and the fact that everyone, and every group, has their own style. We’ve held positions at various levels, led teams, managed projects, steered change efforts and maximized budgets. We belong to many professional organizations and are constantly learning what’s new and different. We’re creative, intuitive and fun to be around (or so people tell us). We love our clients and want to help them succeed! To learn more about the services provided by The Training Works Group Contact Us Today! Website Designed and Developed by WebScapes HD.